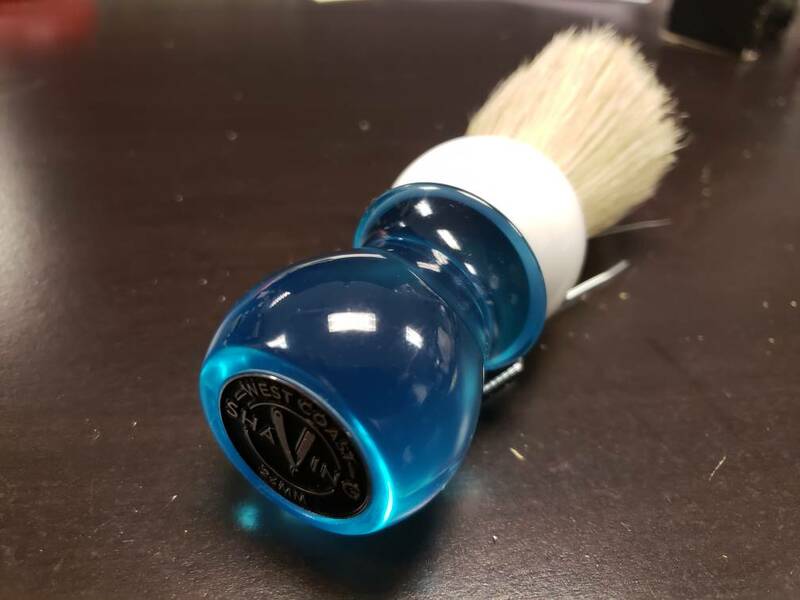 A couple of weeks ago I bought this brush from West Coast Shaving with the hopes that I would be able to pull the synthetic knot and use it in another handle that I have. I steamed the brush and when I went to pull out the knot the bristles came out but the glue plug stayed in the handle. 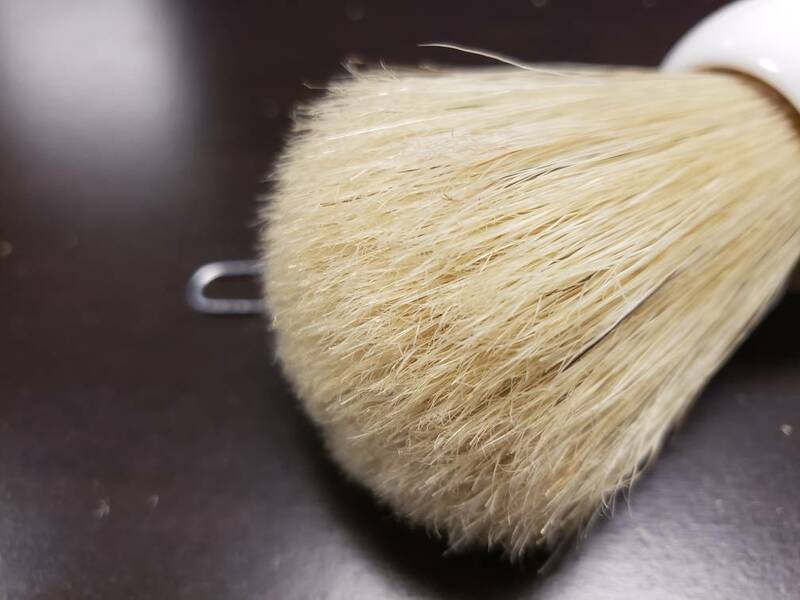 So with the synthetic knot ruined I decided to get at Omega 10049 to sacrifice for the knot and set it into this brush. I don't know if you can see from the third photo but the ends of the bristles came with a good amount of splitting already. 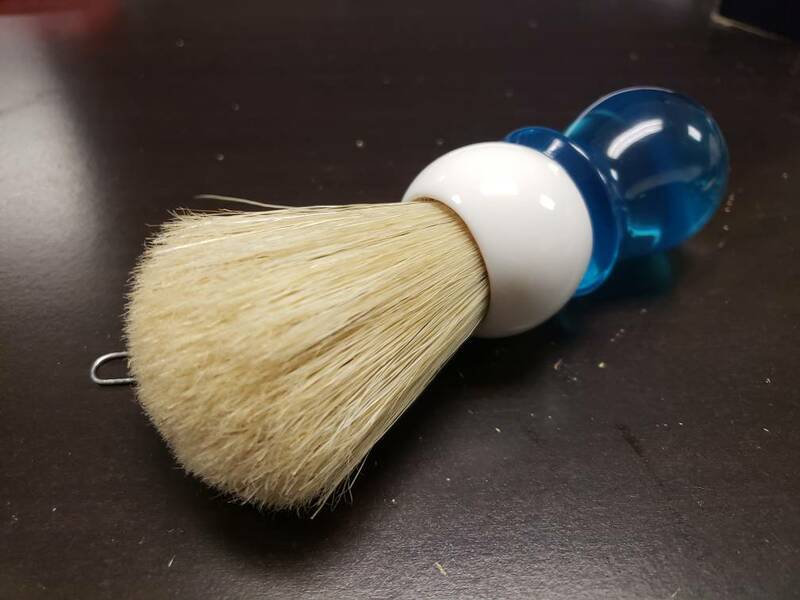 Have any of you seen this on a new Omega brush before ? That is common. Omegas have a good amount of splitting for those types of knots from my observations. Good job on the reknotting! (01-30-2019, 10:20 PM)kooshman7 Wrote: That is common. Omegas have a good amount of splitting for those types of knots from my observations. Good job on the reknotting! Looks "normal" for a new Omega to me as well. If you are not familiar with the cold water method, I highly recommend it: wash it well with hand soap, put it in a glass and cover the tips (1 inch) with cold water and put in the fridge. Pull out daily to change the water and give it a palm lather with a shaving soap, and it goes back in. Do that for 3 days and then let it dry well. Amazing effect IMO. I’ve never paid that close of attention to new boars thinking I’m going to break them in anyway. That handle sure does look great with the boar knot! Dry it with a blow dryer and you'll see even better results. Nice job on the reknot. I have three Omegas and they all seem to have a similar look to them. That said, the Connaught Boar in the faux jade handle is far less scritchy than my Pro 49 and 10066. But that handle is really stunning. I actually like how it looks with the synthetic noir knot. If I was looking to add another synth to my den I'd probably go for it. Alas, I'm actually happy with my present brush rotation and not looking for additions. You'll love that brush once it is fully broken in. Great job Andrew! 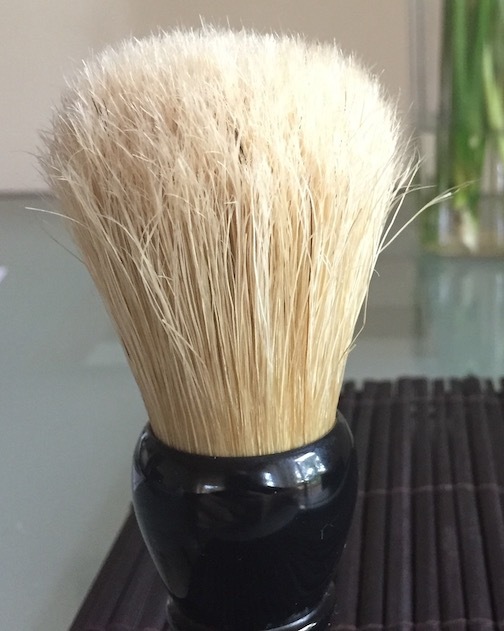 I've used a few Omega 40033 to restore brushes as well as have had one my rotation since I started DE shaving. Given time they get softer the more you use it.